Sometimes I look back on the days when H, H and J were all teeny and wondered how I coped. Three children under the age of five is not easy at all and I can hand on heart say that with each baby, although I was a lot more chilled out and more confident in my ability as a parent, there were still many times when I would cry with frustration as multiple babies/toddlers/children were crying and I didn't know how to help them or which child to comfort first. 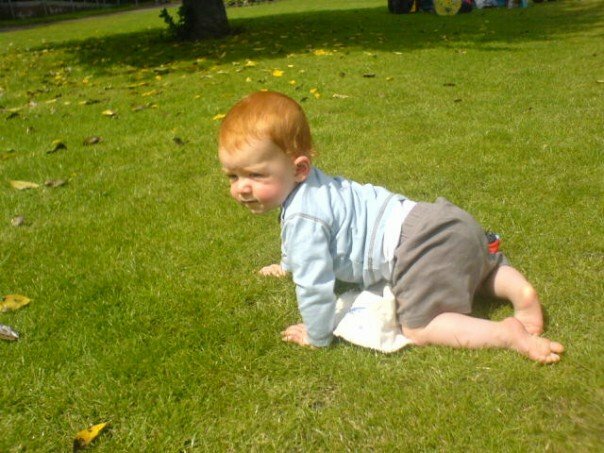 As a new young mum to Harry in 2006, I was an absolute stickler for routine and although this did work most of the time, there were still times when he would cry and cry and cry - sometimes it was just non-stop and I must admit to feeling helpless on numerous occasions. There is no worse feeling than feeling like you can't help your child. I remember one time it was a big family gathering and whatever I tried I just couldn't soothe Harry. Although this was definitely all in my head, I couldn't help but feel like everyone in the room was judging me for not being able to stop my baby from crying. I was at my wits end at times and on the advice of my health visitor, I ended up using a product similar to Care Co-Lactase Drops which are available from Asda. Thankfully, this seemed to work. You can find out more about the drops here. Back then, there weren't really any parenting blogs around and as I was the only parent in my circle of friends, I never really experienced those conversations you have with your peers about endless sleepless nights or how you can't understand your baby's cries. I just kind of got on with it by myself. This was not the best attitude to have though, and looking back, I do wish it was something I could have shared with and talked to others about. 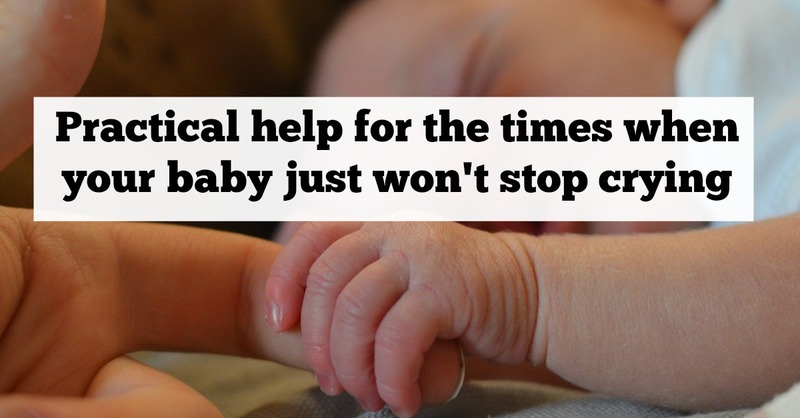 Well as they say, it's better late than never and today I have teamed up with top midwife Penny Lazell to help other parents who might find them in that situation and provide practical help for how to comfort your little one when they are crying. First of all, it's important to understand why babies cry. It's not to annoy or upset you, it's because they need something or because something is bothering them. They need you as a parent to meet their emotional and physical needs. I know this is daunting, especially as a baby can't actually tell you what's wrong but Penny's top tips will hopefully help. A young baby's brain is not developed enough to anticipate hunger and as soon as hunger strikes, crying can become quite intense. If your baby has not been fed for 2-4 hours, they could be hungry. If they are immediately soothed by breast or bottle, this is probably what they were trying to tell you. Over time, a pattern generally forms and as a parent you do learn to recognise when your baby needs feeding. All babies are different and some will require a nappy change straight after feeding, others may cry 30 minutes after feeding and some may not have any routine at all. If your baby has recently finished feeding and is still crying, a nappy change is often the solution. Signs of tiredness include yawning, rubbing eyes and becoming fidgety. Harry and Heidi loved to fight their sleep and I remember on occasions it would take hours before they eventually closed their eyes (I never really had this issue with Jack - he always loved his sleep). Penny advises that a change in environment can often help if your baby jus won't settle. Try a walk outside or sitting out in the garden. Cries from pain can be worrying and are often mistaken for hunger or tiredness. They are generally more high-pitched and can happen quite suddenly. In these situations, it's important to trust your gut instinct and if you think your baby's in pain, take their temperature, check them over and seek medical advice. Babies can get bored very quickly and will soon let you know when they're after some attention. I always found long walks would keep my three interested when they were little and you can sign up to any number of baby-friendly activities too. I have recommended my favourite baby-friendly toys here if you're looking for inspiration. Parenting is tough! On one hand your baby may be crying because they are bored but on the other they could be crying because they are over-stimulated. It's a tricky balance to maintain! If your baby becomes fretful, a cuddle in a darkened room with some gentle shusshing and rocking will normally help. Babies spend nine months being cuddled in the womb and I can't imagine what a shock the big wide world is at times. Cuddles are important for your little one's emotional wellbeing and if you've tried everything else, you'll often find it's simply a cuddle that your baby needs to soothe them. Babies struggle to regulate their own temperature and as a parent, you will need to do this for them. If they seem too hot, try removing a layer of clothing and remember to wrap up with a hat and coat when heading outdoors. Babies can struggle to create enough lactase to digest the lactose (a natural sugar found in breast milk and formula) in their feed which can lead to colicky symptoms. This is called Transient Lactose Deficiency. Guidelines from NICE and NHS Choices suggest that Transient Lactose Deficiency can be an underlying cause of infantile colic and if you think this may be the reason behind your child's crying, a week's trial of a Lactase Enzyme Drop could be worth a try (always seek medical advice from your doctor, health visitor or pharmacist). These drops can be used from birth, and are sugar, preservative and flavour-free. They are to be added to breast milk or infant formula prior to feeding. The lactase enzyme breaks down the lactose in breast and formula milk which should reduce the symptoms of Transient Lactase Deficiency. Unlike other preparations, Care Co-Lactase Infant Drops do not interfere with the feeding process, meaning a baby can be fed immediately (rather than waiting 30 minutes for the drops to take effect). 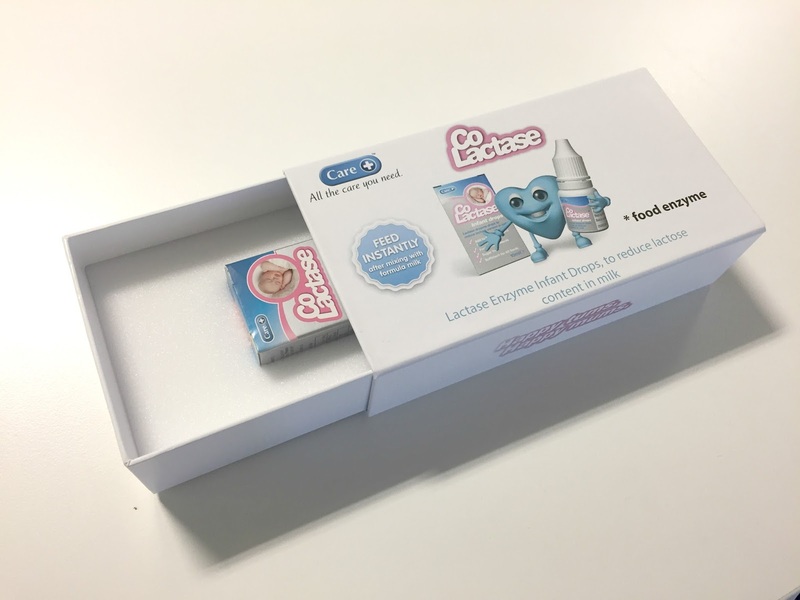 I have been provided with a bottle of Care Co-Lactase in a branded box to giveaway to one reader. Simply enter via the rafflecopter below. Employ the 5s's. Swaddling, side lying, shushing, swinging and sucking.